GenX Mobile Incorporated designs and manufactures wireless data equipment for telematic, security, and fleet service companies. It provides in-vehicle communication platforms that enable wireless connectivity and location-based information. 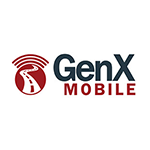 Recently GenX Mobile has been acquired by Sierra Wireless. The chart below shows the changes within the last 30 days in the number units of Sierra Wireless / GenX Mobile devices type are connected to Wialon Data Center.